We offer to all of our landlords the best rewards in the area. We continue to be able to offer per acre returns for our clients that are at the top of the industry in the area. We do this while maintaining their land. We are also starting to look at other ways to increase the number of services that we provide to our landlords.One of the services that we hope to provide is to provide all landlords that are interested with a packet of the fertility of their farm and a plan of how we will treat it. We feel that this very important for landowner so that know their farms is being maintained properly year after year. Our landlords have the option of four different type of arrangments. In what we call a cash lease arrangment we would agree on a set price and terms and this what you as a landowner would receive. This is good for someone does not want to take any risk. In this arrangment you know what to expect. In this arrangment, we would supply all the inputs and you would receive an agreed upon precentage of the crop upon harvest. This arrangment can net more return but it is a little more risky that our cash lease. There is know way of knowing what your return will be. In this arrangment, we agree on how to split the inputs so that both parties involved in the lease have close to equal investment and then we split the crop at harvest half and half. This type lease works for some landowner but it is one of the more risky way for the landowner. While being risky it can be very rewarding in some years. In this arrangement, the landowner would supply all of the inputs and we farm it for a set rate for each operation. This arrangment is for those who want to involved in the farm but don't have the equipment, time, or are just not willing to invest that much in their farm to do it all theirself. To participate in this you need to have some knowledge of farming.. 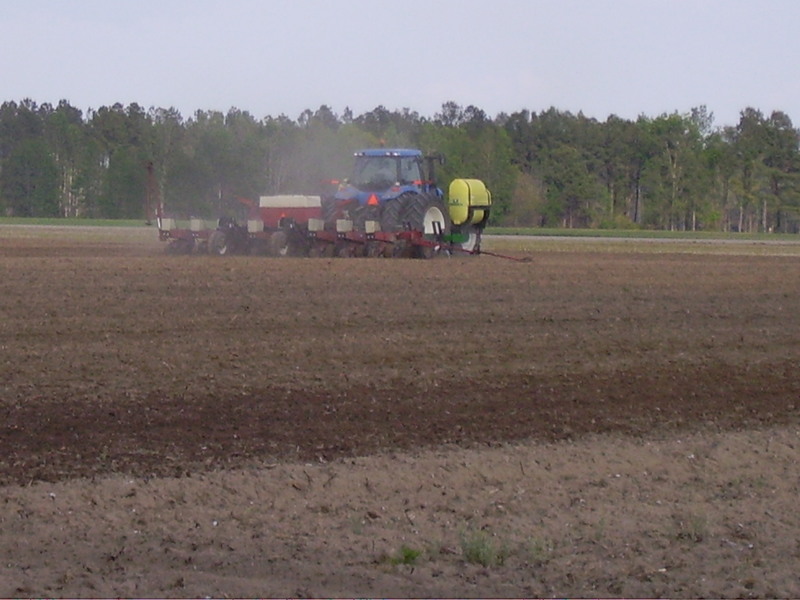 This is us planting cotton on a farm that we lease. As you can see we try to maintain a nice up to date line of equipment. We do this so that can continue to stay competitive with the farmers around us. If you think that we can service you and your needs in anyway feel free to contact us.